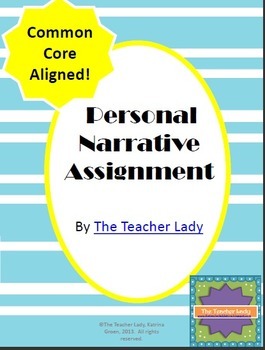 Personal Narrative Writing Assignment - Common Core Aligned! 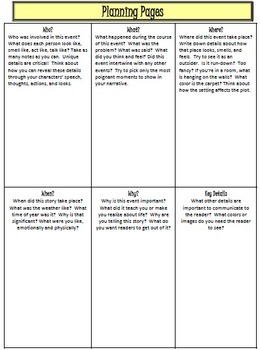 This document contains 18 different Personal Narrative writing prompts. 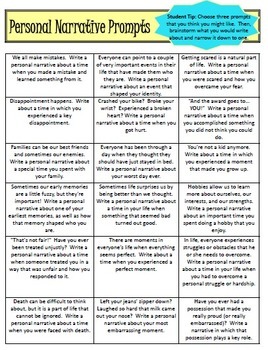 The prompts range from lighthearted (write a narrative about your first sleepover) to more serious (tell about a time when you experienced the death of someone close to you). 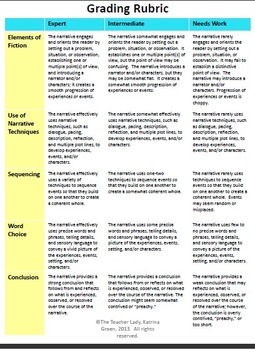 The document also includes two planning pages that will scaffold students to develop narratives with strong plots, characterization, and theme -- all critical for mastering the Common Core State Standards. The rubric, which is included, is aligned to the CCSS for the 9th-10th grade band.